Posted by misscraftyfingers in Blog, Cooking, Recipe. I made icecream! 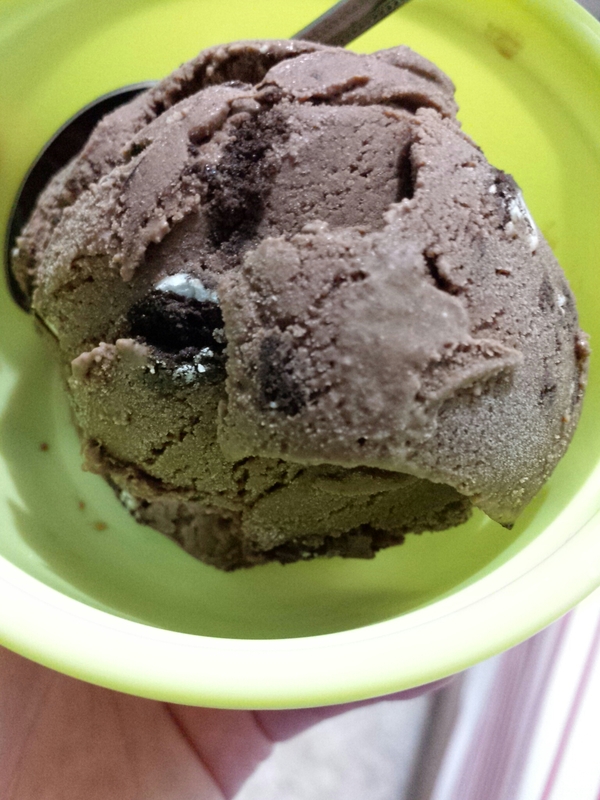 I bought an ice cream maker a few weeks ago and after some trials, I found the best chocolate ice cream recipe! I’m telling you it beats store bought ice cream! The recipe can be found here. You can make it with or without Oreos. If you like dark chocolate like me, use as high percentage dark chocolate you can find and the flavour will be really rich and intense. I used Lindt 85% dark chocolate. Mmmm…. So good! Now I just need a really good vanilla ice cream recipe.. Preferably without the use of eggs. Any recommendations? Salted Banana Peanut Butter Chocolate Treats!